Known for her modern and bold aesthetic, this beautiful Vivienne Westwood Orb watch is just the daily glamour, the modem day woman needs. 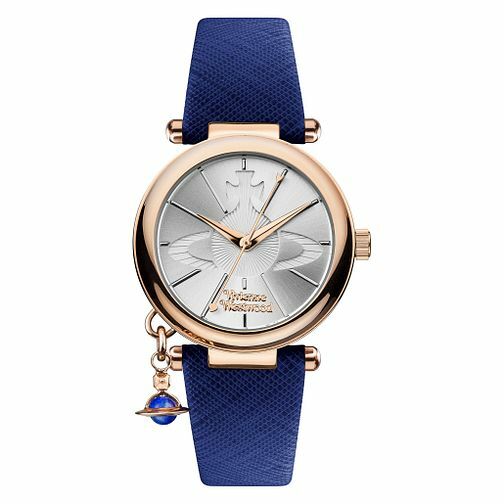 This watch features a charming silver bezel engraved with the iconic Vivienne Westwood orb logo. The silver dial is offset by a striking blue strap. The watch is effortlessly finished with an Orb charm. Vivienne Westwood Orb Ladies' Silver Dial Blue Strap Watch is rated 5.0 out of 5 by 2. Rated 5 out of 5 by Anonymous from Stylish Fits my small wrist, looks great with pretty much everything you wear.